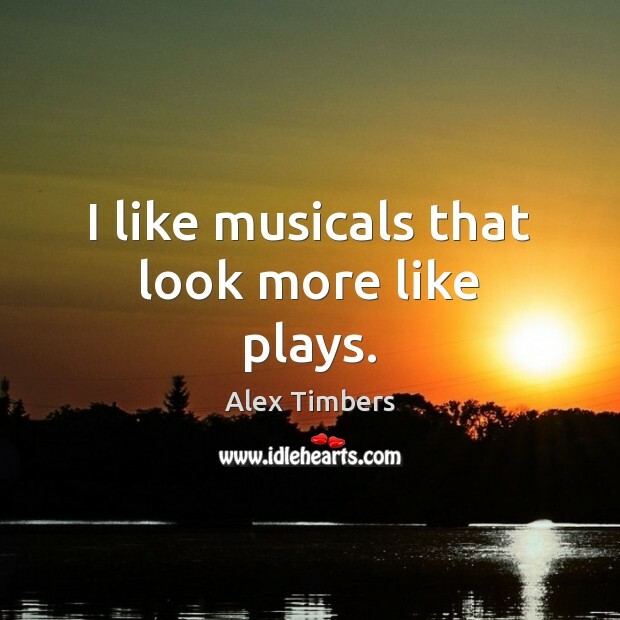 Enjoy the best inspirational, motivational, positive, funny and famous quotes by Alex Timbers. Use words and picture quotations to push forward and inspire you keep going in life! I like musicals that look more like plays. I think we live in an era without a predictable career path. Everybodys doing more, doing more at the same time, doing more faster. 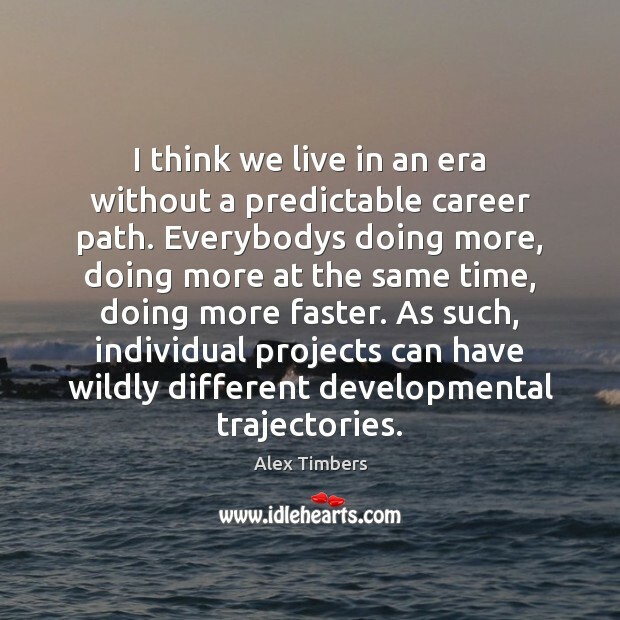 As such, individual projects can have wildly different developmental trajectories. 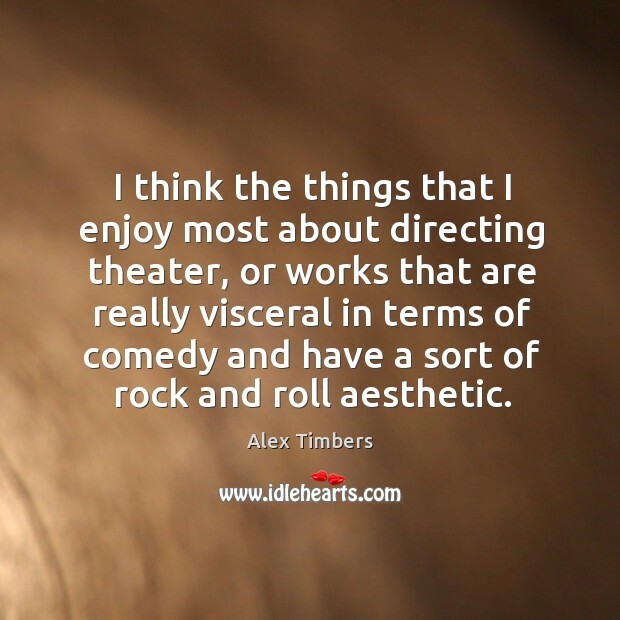 I think the things that I enjoy most about directing theater, or works that are really visceral in terms of comedy and have a sort of rock and roll aesthetic.